Hong Kong. Travelogue by Jason Wallengren. Vigeland. Travel journal by Leslie Howes. Two poems by Mebane Robertson. Popes and Saints. Letter from Rome by Anna Maria Cossiga. The Boxer. Poem by Gabriele Tinti, translated from the Italian by David Graham. 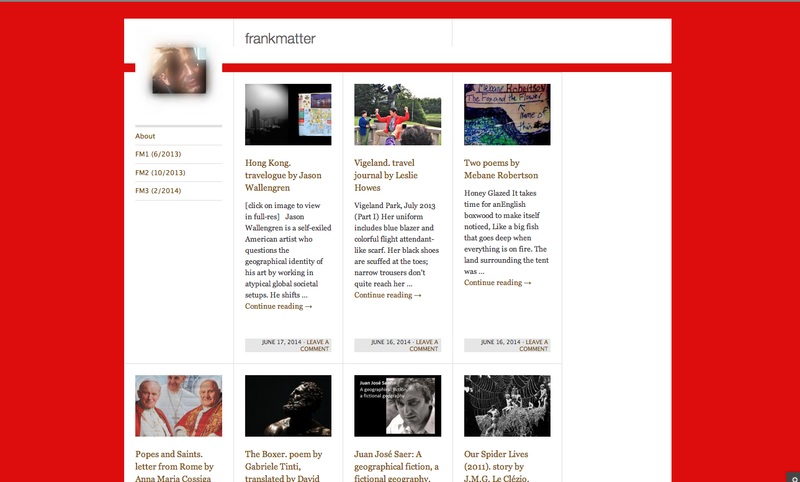 The contents of the fourth issue can be found by scrolling down the homepage.